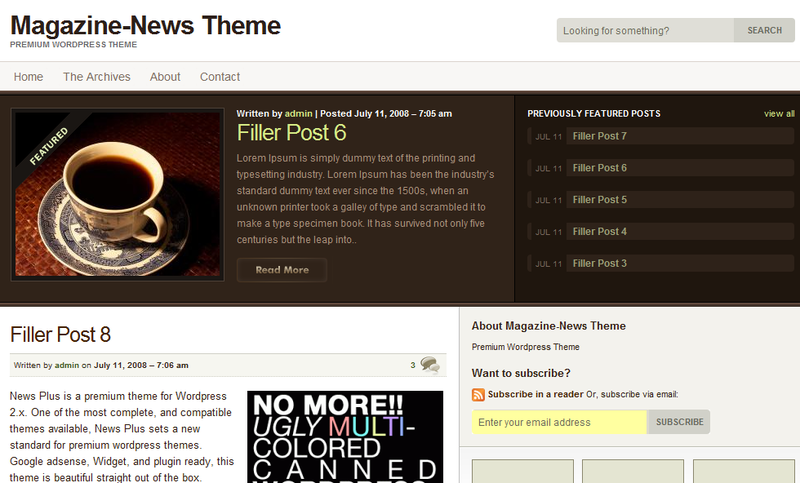 August 26th in Premium Themes, Themes for Pro Bloggers by Wordpress Jedi . Just a few years ago, journalists had to spend thousands of dollars to create their own independent portals. 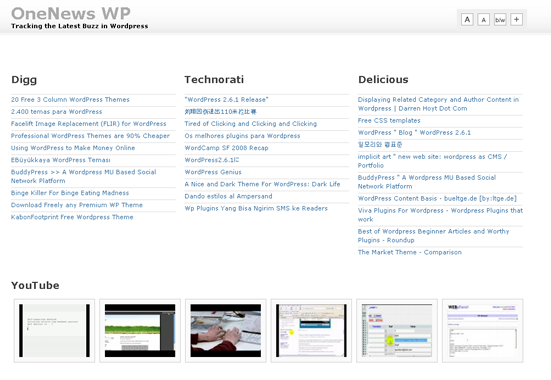 But WordPress has changed all that. Now journalists from all walks of life can create their own news portals easily with WordPress. 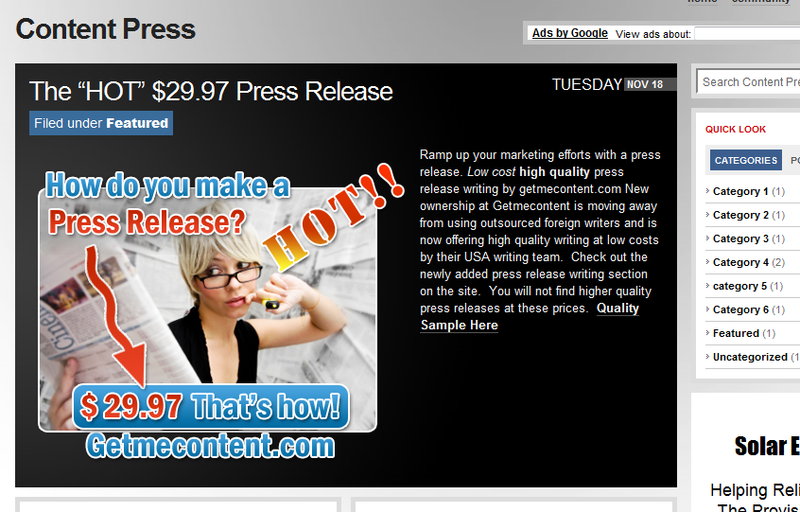 Premium news WordPress themes make it easy to create a news website without having to spend a fortune. If you are a journalist/blogger looking to create your own independent news portal, you can set up and customize your website fast with previous WordPress themes. As long as you choose a theme that is SEO-friendly and well-designed and focus on providing valuable content on your portal, the sky’s the limit. 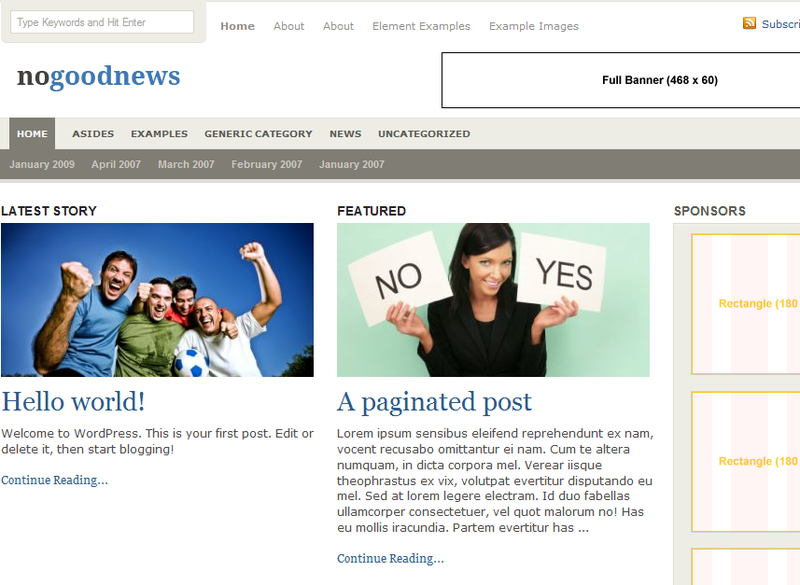 1. eNews: a very dynamic and attractive news theme for WordPress. Comes in various colors and lets you promote your best stories in its featured section. 2. Massive News: an SEO friendly, flexible theme that lets you build your news portal fast. It’s very convenient to get a handle on and comes with a powerful back-end. 3. 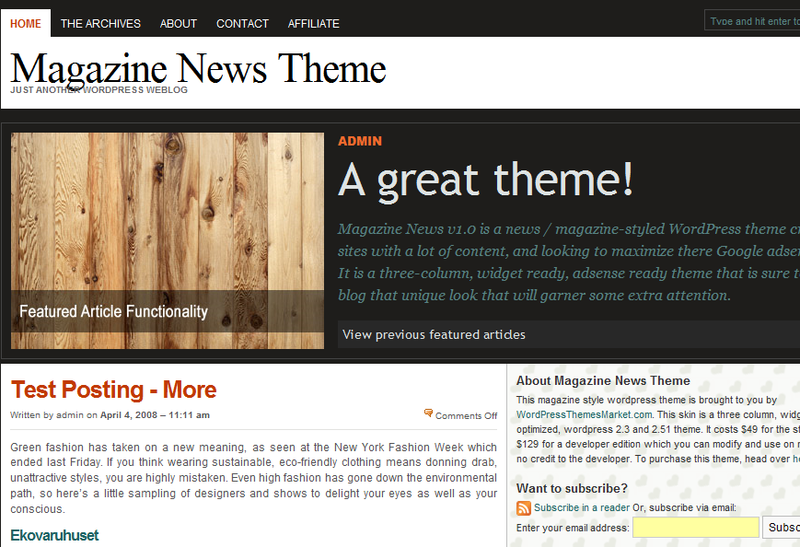 One News: One News is one of the best themes for WordPress. It tops a lot of charts for a good reason. It can be used to create all kinds of websites fast. It’s very flexible too. 4. Gotham News: a highly attractive and flexible theme to help you build your own personal news portal. It’s search engine friendly and ready to be used out of the box. 5. New Yorker 2: duplicate the look and feel of some of the New York times. Great way to start your news portal. 6. 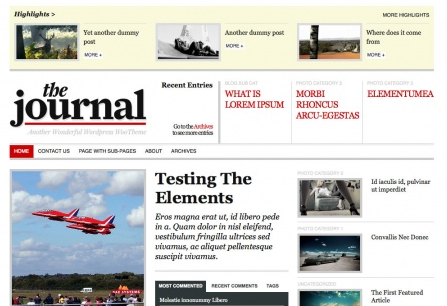 Journal: a wonderful theme to create your own news WordPress blog fast. Very flexible and SEO friendly too! 7. 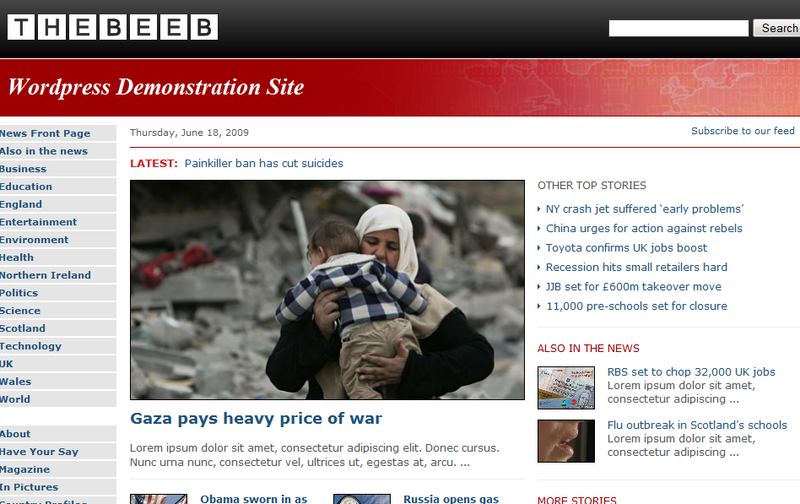 The Beeb: a BBC look a like that lets you clone BBC and build your own news site. 8. 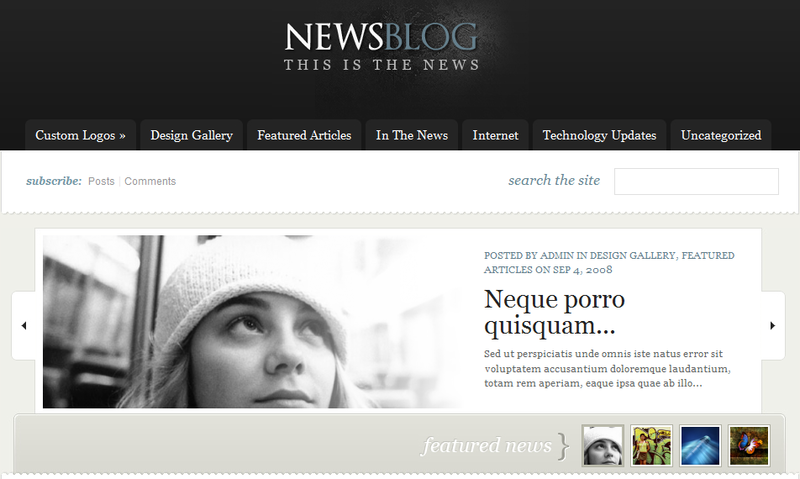 Blog News: a cool looking news WordPress theme. Great for handling images and all kinds of content. Very easy to customize as well. 9. 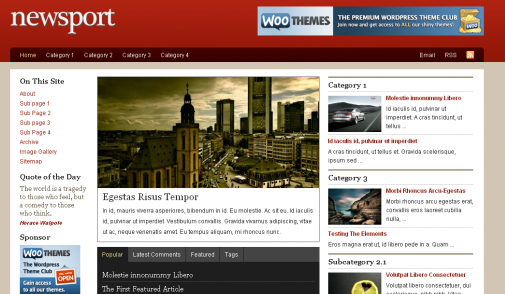 Newsport: a very SEO friendly news portal theme for WordPress. If you are a journalist, this is a good choice. 10. 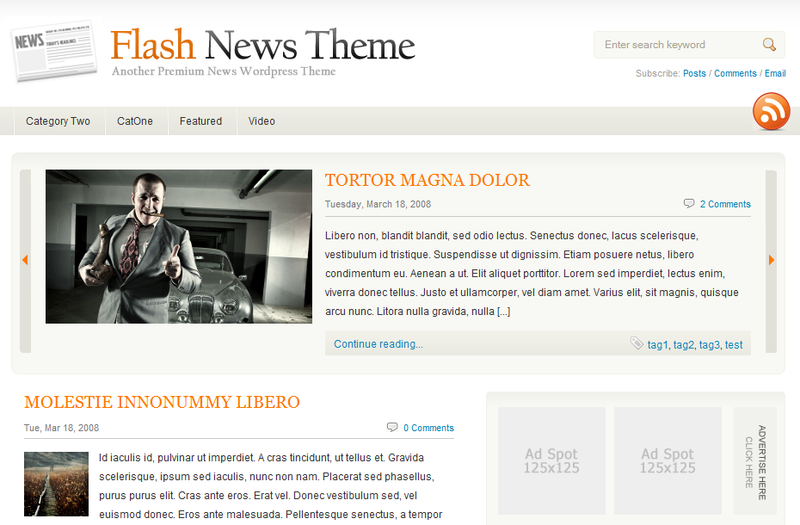 FlashNews: a very clean and slick news/blog theme for WordPress. It’s easy to customize and ad ready. 11. Magazine News: a magazine-style WordPress theme for journalists and news gurus. Comes with clean code too. 12. No Good News: a magazine design theme that is very clean and highly flexible. It’s ad ready as well. 13. Magazine News Theme: it’s premium news theme designed for folks who want to make a living from reporting news. 14. MagPress: a magazine news WordPress theme that comes with clean code and video ready. 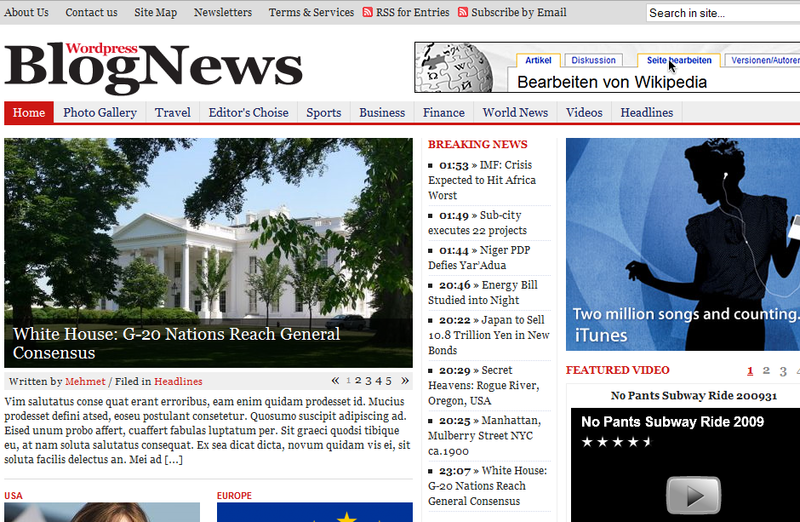 It does have a WordPress.org look and feel to it, but it’s obviously designed for news portals. 15. 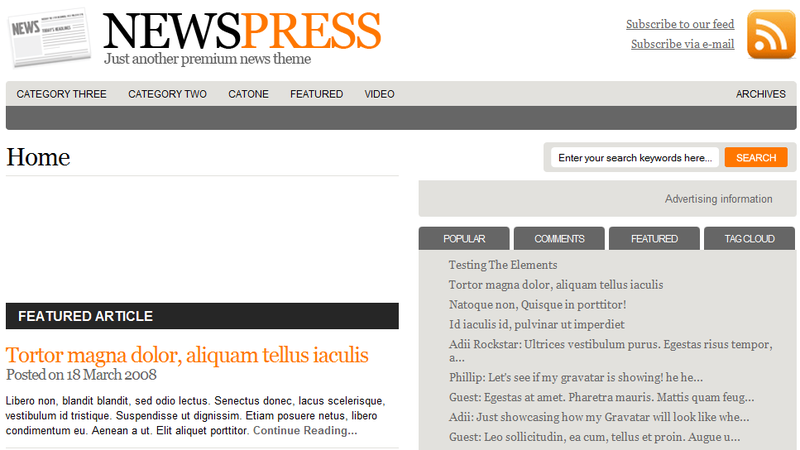 Newspress: an attractive WordPress theme designed for anyone interested in starting a news website. Very flexible. 16. 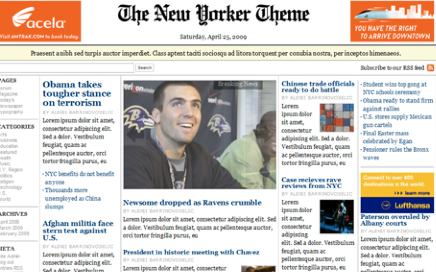 WordPress Newspaper: another great looking news theme for WordPress. It allows you to add images and all kinds of content easily. You can easily customize it too. 17. 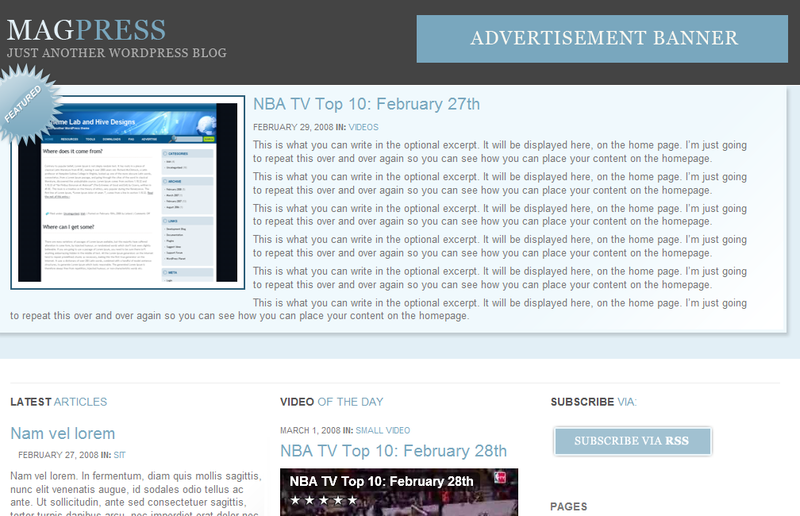 Content Press: a simple but decent WordPress theme for reporters and news addicts. 18. Live Wire 2.0: a cool looking theme for technology and Web 2.0 news portals. You can obviously change the look and feel to make it fit your specific niche. 19. The Daily News: a simple theme to start your own news Journal fast. 20. 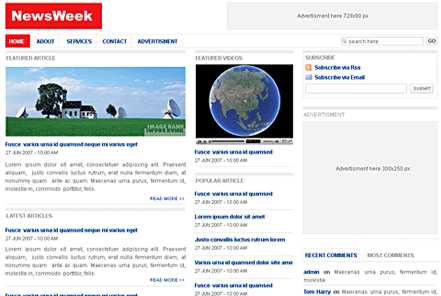 NewsWeek: a NewsWeek clone theme that lets you duplicate the look and feel of the site on your blog. 21. 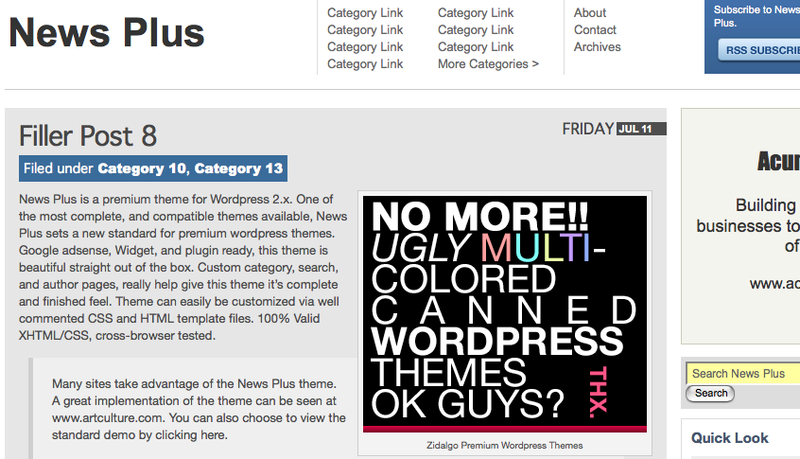 News Plus: a magazine style WordPress theme for news portals that is easy to customize and comes with multiple layouts. 22. The Gazzette: lets you create your own news site fast. It has some elements of CNN and BBC. Very slick too. 23. WNN: it allows you to clone CNN on your WordPress website.Very simple but you can customize it to fit your project. 24. 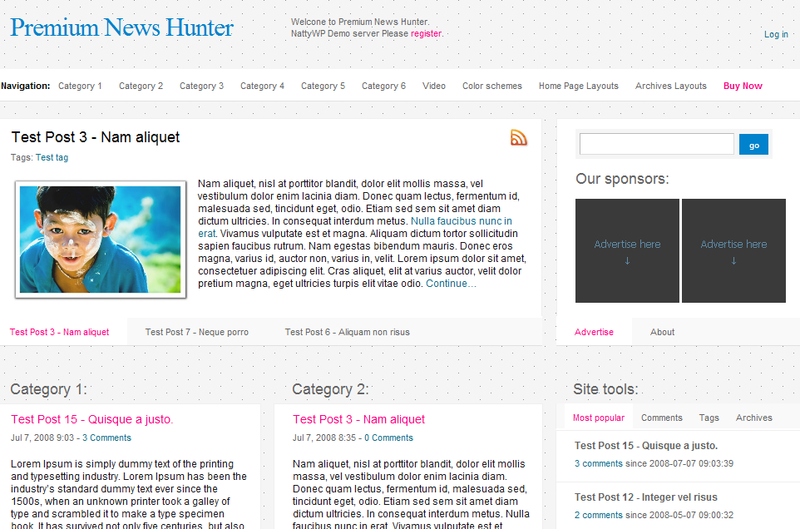 News Hunter: an AJAXified WordPress theme for bloggers and journalists. Very clean and lightweight too. Your turn: what’s your favorite news WordPress theme?